The trees are turning, the air is crisping and the knitted sweaters and crocheted blankets are coming out of their storage! It is time to get our fiber in shape and create! create! create! We have so many fun things planned for this coming season that you won’t want to miss. Dare I say it? It is time to start on our holiday crafting! We can help you find some great patterns for you to make something special for your loved ones. Plus we have some great classes to help you make some beautiful gifts and decorations. Check out our class lists below. Heather and I are creating our “Nice” kid lists! Do you see something that you want in our shop? Make sure to tell Heather or Michelle and we will record it ~ being specific will really help! Then when you send your friends and family down to shop for you, we will know how to help them. HOLIDAY SHOUT OUT FOR FINISHED CRAFTS! WE WILL BE LOOKING FOR MORE CRAFTED ITEMS AND ARTWORK TO SELL DURING THE HOLIDAY SEASON. PLEASE CONTACT THE STUDIO VIA PHONE OR EMAIL IF YOU ARE INTERESTED IN SELLING AT OUR SHOP DURING THE SEASON. 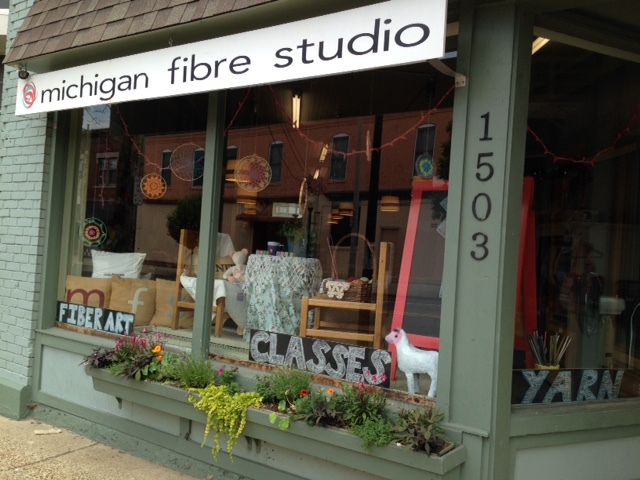 MICHIGAN FIBRE STUDIO WILL PARTICIPATE IN SMALL BUSINESS SATURDAY AND SHOP-HOP ~ BOTH OF WHICH BRING IN HUNDREDS TO THOUSANDS OF CUSTOMERS LOOKING FOR GIFTS. HAVE YOUR WORK SEEN! Team Fibre Benders ~ our first year was awesome! 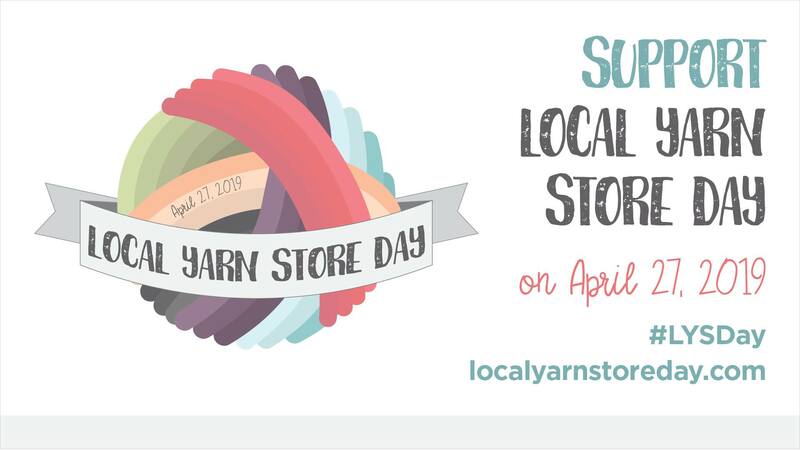 We had a full team of 25 members and together we spun 66,019 yards of fiber ~ that is roughly 37.5 miles ~ or from Michigan Fibre Studio to either Plainwell, Newaygo, or Lyons! That’s some mighty spinning! Out of 70 teams, we placed 28th. Again, for our first year, that is impressive! Overall, there were 1500 spinners, 972 of which became members of the Monster Mile Club by spinning over a mile of yarn. And collectively, 5,163,890 yards of yarn were spun – over 2,932 miles of fiber. That would reach across the continental United States with some 200+ miles to spare! Thank you to everyone who participated. 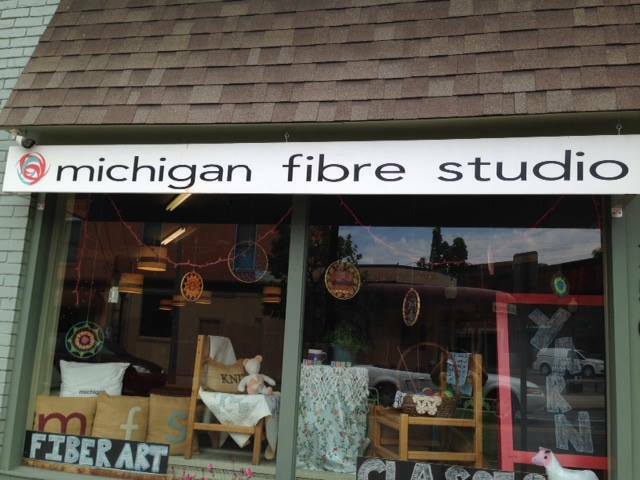 Each of our teammates will receive a coupon from both Michigan Fibre Studio and Threadbender. And a huge thank you goes out to Heather from MFS & Becca from Threadbender for organizing all of us and hosting great spinning events throughout the week for us to all enjoy! Now rest up, we only have 11 months to go before next year’s event! Our Basics! 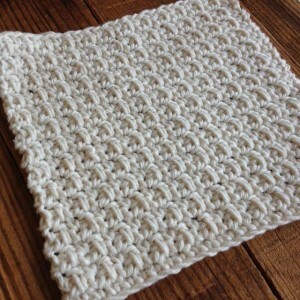 classes teach you the beginning stitches that are the basis of all knitting and crocheting. You will also learn variations of the techniques and helpful tips. It’s all you need to get you started. The Beyond Basics! class teaches you the next step in your journey. Have Karin Sajdak help you through the crochet class or choose to learn knitting and have Heather Havens guide you. Each Basics! class is one two hour session and costs $20 plus additional cost for supplies. We all have done it… dropped the stitch, twisted a stitch, had our cable lean in the wrong direction. And we either try really, really hard not to make the mistake, or we put the project in the corner, waiting for the knitting fairy to fix it for us. After this class, you will be able to let go of the anxiety of perfection and use your corner for other things, like a bookshelf or side table. In this two hour session, Amy Gallmeyer will show you how to correct some of the most common mistakes that we make so you will be able to confidently fix those errant stitches. Please note that there is homework to be done for this class. Click on the date you are interested in for registration and homework assignment. 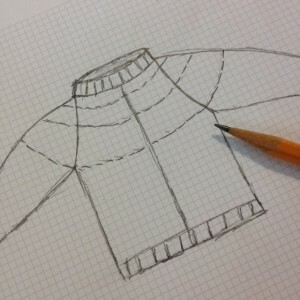 Time to finish your sweater or sew your blanket panels together. But how? Which is the best way to give you a professional looking and strong seam that is less likely to come out? Do you have questions on how to pick up stitches? Amy Gallmeyer has the answers for you! In this class she will go over the different ways to do your finishing work so that your project will look the way you want it to. This is a single class of two hours. Please note that there is homework for this class. Click on the date you are interested in for registration and homework assignment. Back by popular demand! 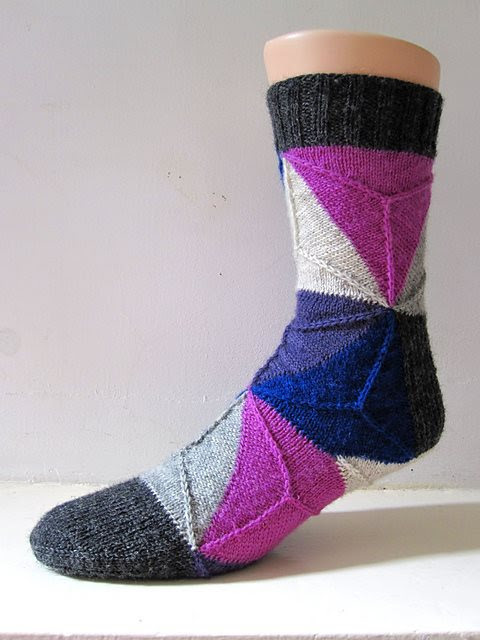 Sock Club is a workshop that meets every month at Michigan Fibre Studio. This year’s sock club will explore the creative patterns of General Hogbuffer. 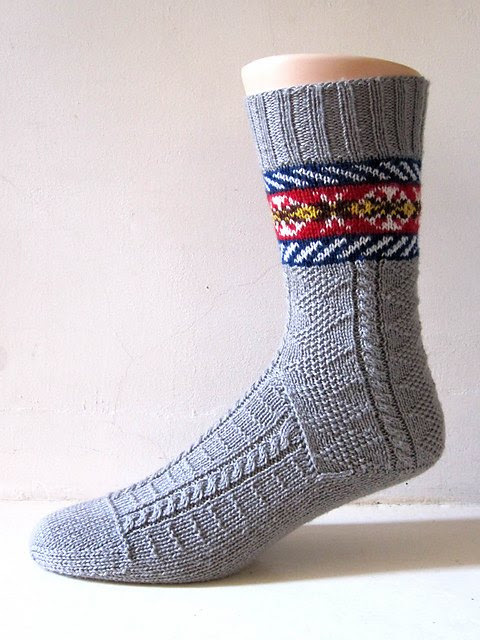 Each workshop will feature a different sock pattern and teach the unique techniques that the pattern uses. The techniques will be taught using worsted weight yarn and larger needles. Once the techniques have been mastered you will be ready to tackle the sock in sock weight yarn. In this Two session class, Amy Gallmeyer will be teaching two-color knitting, short row shaping, felting and sewing in a zipper. After all is said and done, you will have a cute coin purse (makes a great gift!). Please click the date of the class that you want in order to register and find more information. These adorable little guys are fast and addictive! They make a great gift ~ or create a bunch and string them up to make a garland for your office or tree! Click the link below to register or call the Studio to sign up! You will want to make the first one because it is so beautiful. The many others that you will make will because it is so fun and easy! In one of our most popular classes Karin Sajdak will walk you through the beginning steps of working with a hairpin lace loom as well as how to bind the strips that you make. This too, makes a great gift, especially last minute. Please click the link below to save your space today! Keep your eye open for some of these classes to come shortly after the new year! How to Steek with Confidence!